Senator George J. Mitchell ’54 H’83 returned to campus to participate in a dialogue with President Clayton Rose titled “Public Service in Times Like These” in Pickard Theater on Monday. In an exclusive interview with the Orient prior to the event, the senator discussed his deep disappointment with the Republican tax bill passed in the Senate on Saturday. Mitchell served 15 years in the Senate where he was majority leader from 1989 to 1995 and was voted the most respected member of the senate for six consecutive years by a bipartisan group of senior congressional aides. He served as U.S. Special Envoy for Northern Ireland under former President Bill Clinton and most recently as U.S. Special Envoy for Middle East Peace under former President Barack Obama. A strong proponent of educational initiatives throughout his career, Mitchell took particular issue with the bill’s many provisions impacting educational institutions and the finances of their students. 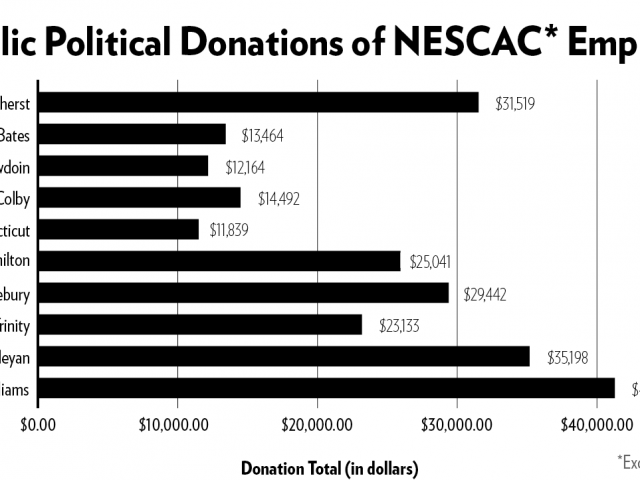 Mitchell is founder of the Mitchell Institute, an organization he started after leaving the Senate that grants financial resources each year to Maine students to attend college. 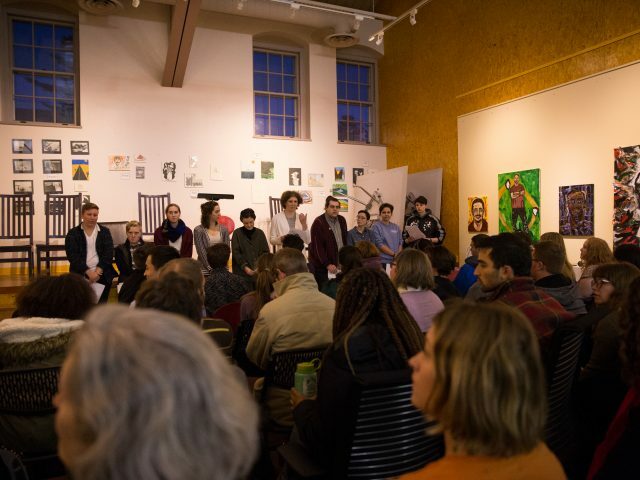 Many recipients of the scholarship attend, and have attended, Bowdoin since the institute’s conception. 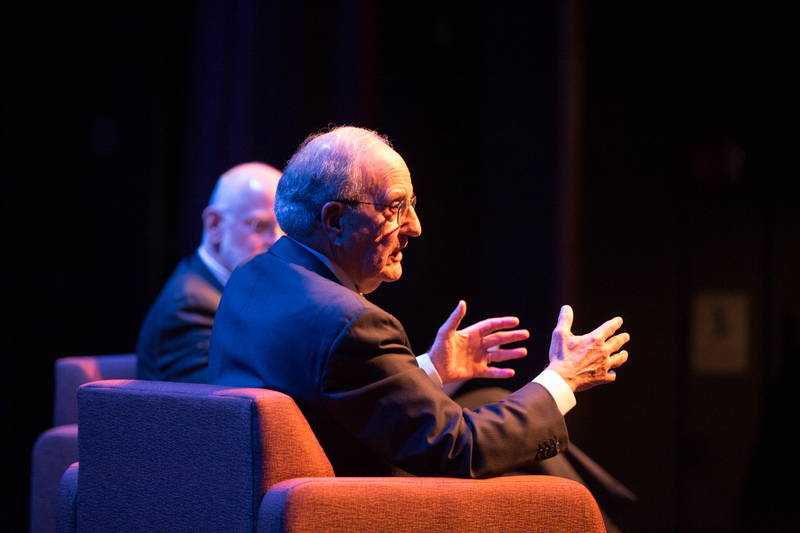 Our Maine Man: Senator George Mitchell ’54 H’83 speaks to a packed audience in Pickard Theater on Monday. Mitchell served as Maine’s senator for 15 years, six of which he served as majority leader. 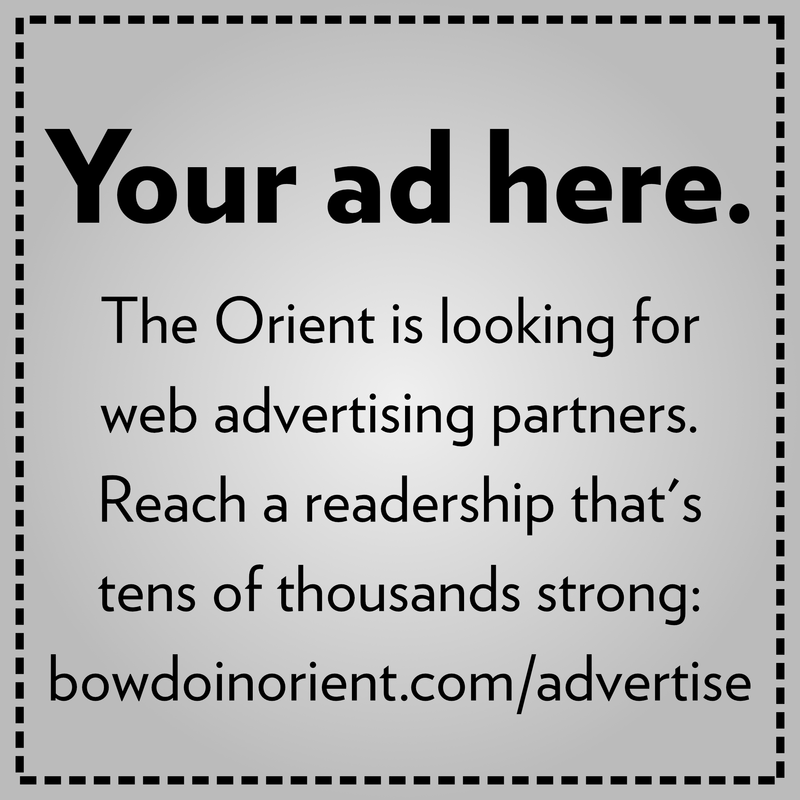 In an interview with the Orient, Mitchell expressed his disappointment with the recently passed GOP tax bill. “I think also the effective tax—[a] huge tax increase on graduate students—will have a negative effect on a very large number of young striving Americans who are working hard to get an education and improve themselves and [who] would be in a position to contribute to society.” he continued. Mitchell has been public about his support for the reduction of the corporate tax rate. The bill passed in the Senate Saturday provides for a reduction of the rate to 20 percent from 35 percent currently. However, Mitchell believes that a reduction to 25 percent would have been sufficient. He said that corporate tax reform would have been best dealt with through a separate bill. He criticized the large tax cuts for the wealthiest Americans—and the minor and temporary cuts for middle-class Americans—as one of many measures in the bill that will continue to increase wealth disparities between Americans. He criticized Republicans who promoted the bill as beneficial for the middle class and denounced the large increase in the federal budget deficit that would result from the passage of the bill. “I in the Senate, and others, listened to Republican members of Congress giving speech after speech after speech about the evils of the federal deficit and how it’s so terrible to increase the budget deficit,” he said. “And to add insult to injury, those who support the bill continuously repeated the false mantra that it’s intended to help the middle class. The bill is the very opposite of the justification used,” he added. Mitchell was recognized by TIME magazine in 2008 as one of the most influential people in the world. He is co-founder of the Bipartisan Policy Center and currently serves as co-chair of its Housing Commission.